Rachel focuses her practice in the areas of real estate, leasing and vendor agreements, corporate law and medical marijuana. She joined Kegler Brown in 2015. Rachel provides assistance to real estate clients dealing with a wide variety of matters, such as leasing, purchase + sale transactions, title and survey, and some environment and energy issues. 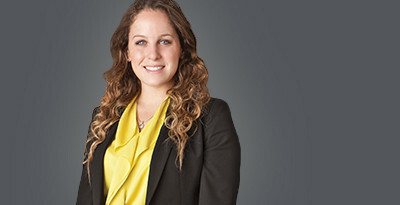 With her extensive experience in real estate lease transactions, and skill in negotiating and drafting lease agreements, Rachel helps clients in the development, acquisition, and leasing of commercial properties, as well as the review, preparation and negotiation of leases. She has worked with clients on both a local and national scale on leases for restaurants, warehouses, shopping centers, big box retailers, as well as single tenant buildings for both landlords and tenants. She also has experience analyzing oil and gas leases and can provide counsel on lease forfeiture. Along with leases and purchase agreements, Rachel advises businesses of all sizes regarding their contract assets and vendor services agreements. She takes the time to develop a customized understanding of her clients’ needs and priorities in order to best negotiate with vendors to craft agreements for shipping, credit application, technology and IT, staffing and more. Furthermore, Rachel assists both buyers and sellers in the structuring and negotiation of M+A deals, joint ventures and strategic partnerships, and on all other legal aspects of complex business transactions. As part of our Medical Marijuana team, Rachel works to provide Medical Marijuana businesses everything they need to operate. From assisting with all three of Ohio’s Medical Marijuana Control Program (MMCP) application types from start to cleanup, to handling continued compliance after submission, appeals, and requests from the board, Rachel helps her clients meet their corporate structure needs, such as staffing, training, employee licensing and more, in order to be compliant with the numerous MMCP regulations and legal requirements.